No longer Arta's blog. Sorry, you missed all the fun stuff, but check out the other cool links! 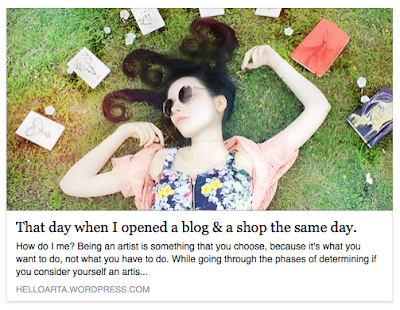 I have started a new blog at http://helloarta.com! All my sketches, ideas, art, illustration, stories and such will be posted there from now on. This blog is broken. Now onwards to new things! Since a massive image loss has occurred (thanks Picasa/google/whichever) I will possibly make all the posts since the year 2009. private and "leave" it for good. I'm fairly enjoying having a Wordpress based portfolio page and I do contemplate making a blog section on it in the future, so, this is somewhat of a goodbye for this lovely little place. I will not delete it off the face of the earth, just make it more of a redirecting to where I actually post my work and updates. Banner image by Arta. Do not use any drawings for personal or commercial reasons - contact first. Picture Window theme. Powered by Blogger.